As always, the Oscar ceremony on Sunday night (early Monday morning live in London) was packed with classic moments, not least the awkward reunion of Idina Menzel and John Travolta, aka Adele Dazeem and Glom Gazingo. The other inspired presenter pairing was non-nominees Jennifer Aniston and David Oyelowo. Neil Patrick Harris peppered the ceremony with zingy off-handed one-liners, and lots of stiff scripted ones that made the show drag badly in the middle. Thankfully, the winners accepted their awards with a rare boldness, championing worthy big issues and refusing to accept the play-off music. Frankly, the movies should be more about this kind of thing: provoking thought by rocking the boat. On the other hand, some of the winners were definitely not up to par - Birdman was far too heavily awarded. But it's about show business, so the voters couldn't resist, even though there were better films nominated. Big Hero 6 was the least of the animated nominees. And The Imitation Game's script is its weakest link. But never mind, history is likely to remember Boyhood as the film of the year no matter who won. 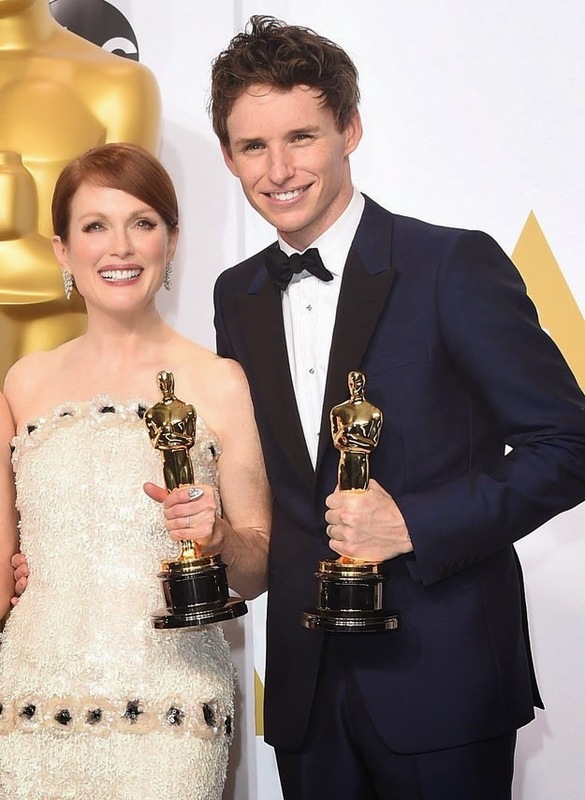 And let's hear it for the Savage Grace reunion of winners Julianne Moore and Eddie Redmayne! 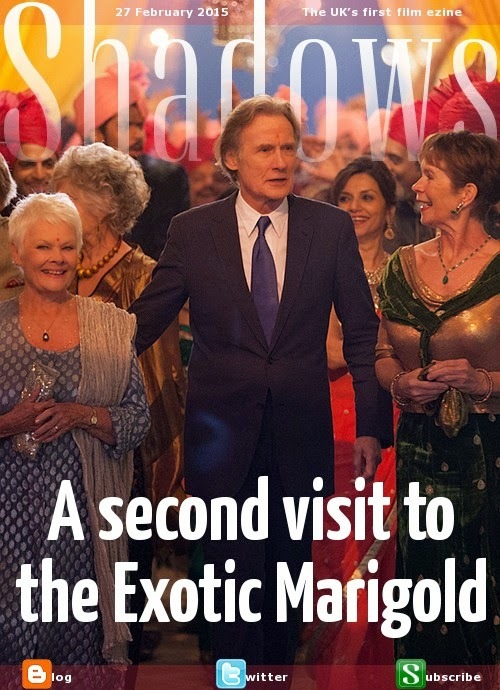 As for screenings last week, I took it a bit quietly. The biggest movie was The SpongeBob Movie: Sponge Out of Water, a surreal romp that never tries to be anything but bonkers. The best film was Celine Sciamma's Girlhood, an astonishing, artful exploration of how it feels to be an outsider. And there was also Jennifer Lopez in the overwrought slushy thriller The Boy Next Door, Kodi Smit-McPhee in the mopey and introspective All the Wilderness, and the darkly inventive, provocatively moving Brazilian drama Futuro Beach. We also had the launch of this year's BFI Flare line-up, which looks unusually strong (the festival runs 19-29 March).